November 29 is World Digital Preservation Day, but for the University of Manitoba Libraries’ Digital Strategies team, part of the Libraries’ Research Services and Digital Strategies department, it’s digital preservation day every day! 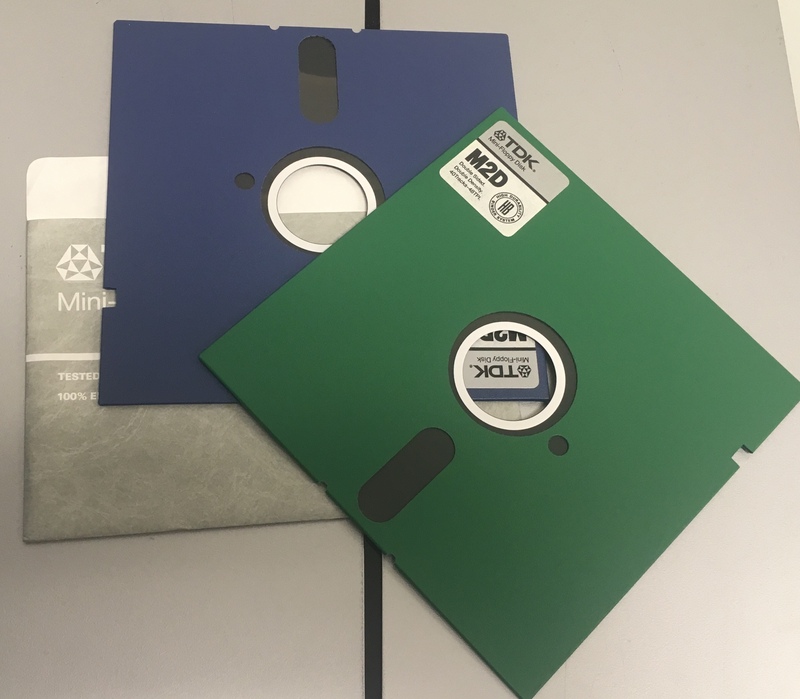 As such, today marks a perfect occasion to share some of the ongoing digital preservation initiatives happening in the Libraries to safeguard the University of Manitoba’s digital heritage and ensure it remains discoverable, accessible, and reusable over time. Over the last few months, Digital Strategies has been developing a digital preservation program. This process has involved developing policies, procedures and workflows, as well as testing and acquiring digital preservation software and hardware, and reviewing digital assets currently held within the Libraries to assess the need for and impact of a digital preservation program. Developing a sustainable program based on best practices has further involved finding the systems and tools required to support digital preservation and make processes more efficient to ensure that digital records are preserved and stored securely for posterity. Equipment used for training in digital forensics. Photo credit: Seon Young Min. 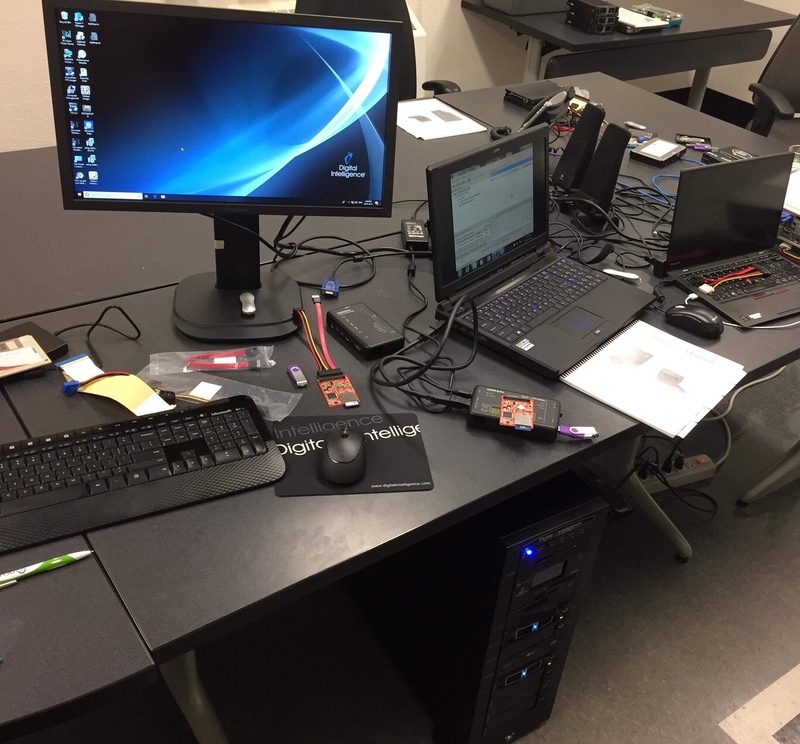 In support of a digital preservation program, Digital Strategies has recently begun working with digital forensics so that data may be reliably captured. To facilitate this work, the Libraries has recently acquired a Forensic Recovery of Evidence Device (FRED). The University of Manitoba Libraries’ FRED workstation is one of few in Manitoba and the only full workstation in Winnipeg. In fact, as these workstations are typically used in law enforcement, the University’s workstation is the first FRED to be used for the preservation of digital heritage in this province. Simply opening or copying a file can alter a record and jeopardize its authenticity. FRED includes various write-blockers, allowing devices like flash drives, hard drives, and optical media to be captured without altering the data. FRED further facilitates the recovery of lost data and allows staff to quickly identify high-value content that should be preserved and low-value content (e.g., drafts or copies) that should be deleted. Improving processing techniques will enhance not only the Libraries’ digital preservation capability but provide greater digital access to researchers and the public. Backstage Library Works set-up at the University of Manitoba. The space includes an overhead area array camera, a book cradle system, and a workstation. Photo credit: Seon Young Min. While FRED assists in processing born-digital material to make it more accessible, much of our history still exists in analog formats. In terms of preservation, analog records are more stable than digital records. However, they are also less accessible. Digital information can more easily be shared online and accessed 24/7 from anywhere in the world, provided users have internet access. Analog records are not as readily shareable, particularly on a global scale. For this reason, Digital Strategies further coordinates digitization projects to create digital surrogates of analog material. Currently, the Libraries is working with Backstage Library Works, a digitization company, to digitize over 100,000 pages on-site at the University in the coming months. Once the project is completed, Research Services and Digital Strategies will acquire 100,000 digital surrogates for each analog page that was scanned. While these newly created digital files will facilitate access, they also bring on new challenges in terms of preservation. Archivematica, an open-source digital preservation system, responds to some of these challenges, both for born-digital and digitized content. Once records are processed and ready for preservation, they are packaged and stored using Archivematica, which supports best practices for digital preservation. Archivematica allows for the creation of preservation and access copies of digital records. It also creates metadata – descriptive information about the records and the preservation actions applied to them during processing. The access copy, or Dissemination Information Package (DIP) is used for research access and can be sent to users when requested. The preservation copy, also known as an Archival Information Package (AIP), is stored by Digital Strategies for long-term preservation. To ensure that AIPs are securely stored, the University of Manitoba Libraries is currently participating in a digital preservation initiative called WestVault. WestVault is a geographically distributed preservation storage network built using open-source software and standards. It is hosted and supported by the Council of Prairie and Pacific University Libraries (COPPUL) and owned and operated by the COPPUL member community. Built on a LOCKSS (Lots of Copies Keeps Stuff Safe) software/network architecture to provide a high-redundancy, independently-administered peer storage network, WestVault safeguards against any intentional or unintentional data loss that may occur locally by distributing digital assets across all four Western provinces. WestVault also monitors content health, automatically repairs damage, and recovers content following data loss events. Why are we doing this work? Digital preservation is a growing challenge, as information and knowledge are increasingly created and accessed in a digital environment. While the preservation of paper records is a relatively passive process informed by more established and fixed practices, electronic records require much more active preservation efforts. With continuous technological changes, digital preservation is fluid and consequently, requires a more dynamic approach to ensure the records survive beyond their relatively short lifespan, ranging from 5-15 years. Born-digital records are susceptible to file degradation and corruption, while the software and hardware required to read and access these files may be obsolete, rendering the material inaccessible. To respond to these many challenges, Digital Strategies has been working to ensure viable long-term solutions and enduring access to stable and sustainable digital formats throughout the various stages of the records’ lifecycle so that these materials may remain accessible to the University of Manitoba community and other researchers over the long-term. To learn more about Digital Strategies and its work in digital preservation, visit the Libraries new Digital Strategies webpage at: https://libguides.lib.umanitoba.ca/c.php?g=704070&p=5007198.